Christians who have returned to the Nineveh Plains in northern Iraq, three years after fleeing Islamic State militants, are on high alert now Iraqi forces have retaken some of the disputed region from Kurdish forces. Father Poulos, one of the priests in the town of Bashiqa, near Mosul, told World Watch Monitor he had been expecting a government response following the outcome of the Kurdish referendum in September, when Kurds voted overwhelmingly in favour of independence. The Iraqi government has since started a military operation to take back areas controlled by Kurdish forces, and Bashiqa is one such town – liberated by the Kurdish Peshmerga from IS during the battle for Mosul in November 2016, since when it has been under Kurdish control. 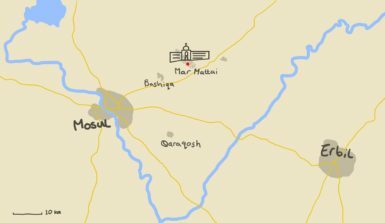 On Tuesday afternoon (17 October), the priest says the Peshmerga told him they would withdraw from the town and, shortly after their departure, the Iraqi army arrived and took control. He says he had a sleepless night and that people were afraid. “My phone kept ringing. Many people called me asking about the situation. I tried to comfort them telling them they shouldn’t worry,” he said. For now, life in Bashiqa continues as usual: the shops are open and the children go to the school that reopened just two days ago, although some teachers haven’t been able to get to work because the roads leading into the town are closed. 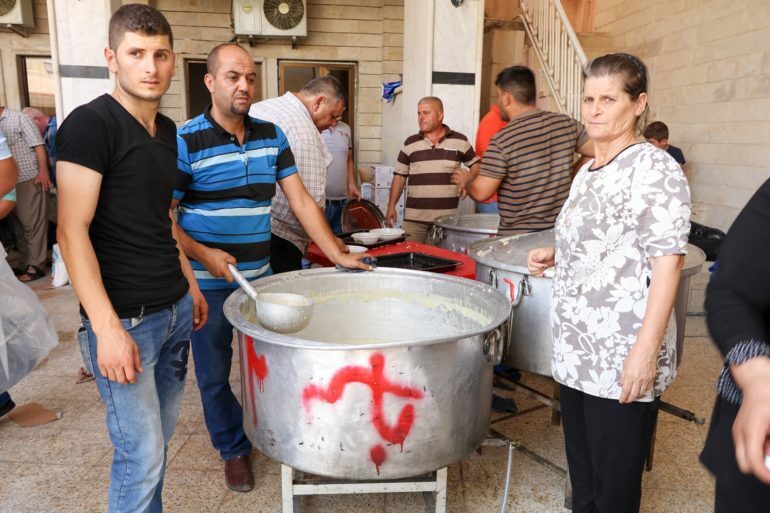 Since IS’s defeat, small numbers of Iraqi Christians have started to return to the towns and villages in the northern Nineveh Plains region. Father Poulos and some 200 Christian families were among them, returning home to Kurdish-controlled Bashiqa a few months ago. As World Watch Monitor reported yesterday (17 October), experts have warned that fresh large-scale fighting in the disputed territory could further drain the region of Christians. Father Poulos says he was happy that it was the Iraqi army that took over and not the so-called People’s Mobilization Forces, an organisation formed by the Iraqi government – from around 40, mostly Shia, militias – to fight Islamic State. He says that despite the uncertainties, most people would rather be at home than still displaced and living in camps. The Christian community are “used to this situation”, he says, having lived in Iraq for generations and witnessed many wars and conflicts. In 2014, it was Father Yacoub who led the remaining group of Christians from his town to safety in Erbil, where he still lives as an internally displaced person (IDP), though he says he hopes to return home within the next month. The Kurdish Regional Government first took control of Bashiqa after the fall of Saddam Hussein in 2003. Then, in November 2016, it was the Kurdish Peshmerga fighters who liberated the town, two years after IS had taken over the Nineveh Plains. Following the Kurdish vote for independence in September, some Christians in the area feared another civil war.